Great Chinese Buffet and Sushi in Placer County! The restaurant is located in strip center surrounded by residence and high tech companies. The dinning room is designed for easy maintenance with granite table tops and buffet lines. All the kitchen equipment is in place and ready to go. The restaurant seats up to 138 customers where a lovely water fountain greets each customer. The lease has 5 years remaining with two 5 year options. The monthly base rent is $6,428 plus NNN. Parking lot has easy access and is close to large supermarket stores. Seller has found herself another opportunity needs to move on. Take the next step and select one of the bright orange buttons below to get the name and address of the restaurant.This is a Paramount Restaurant Brokers, Inc. DBA SellingRestaurants.com listing. Restaurant is Nearby Hi Tech Factories. Location is Surrounded by Residences Area. Plenty of Parking Space and Convenience Access Parking Lot. Easy Maintain Granite Table Tops in the Dinning Room. 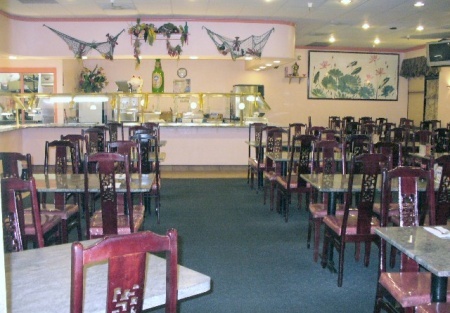 Restaurant Has 3,434sq/ft Could Seat Up to 138 Customers. Base Rent is $6,428 Per-Month Plus CAM. Buyers Will Execute New 5yrs Leasing Term and Two 5yrs Option. Seller is Very Motivated to Sells. Seller Has Found Herself Another Opportunity. Sign the Confidentiality Agreement to Obtain the Address Now.